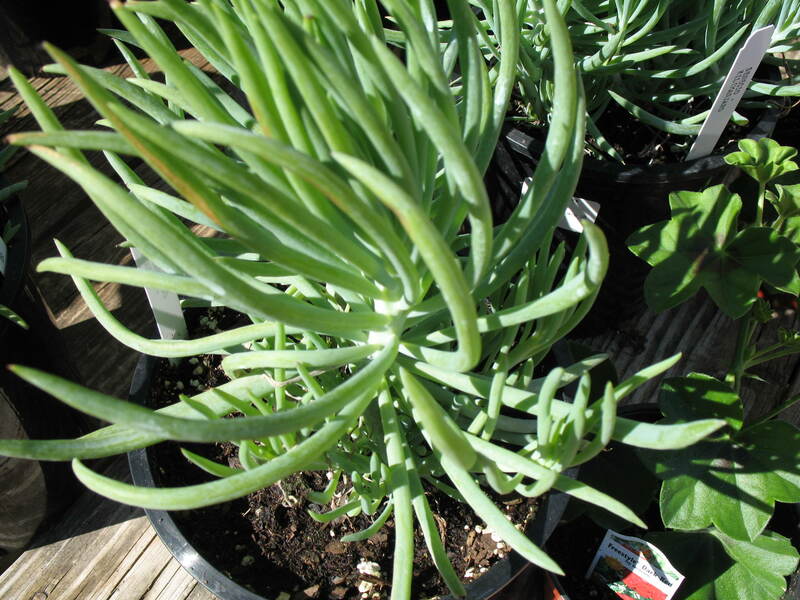 Comments: This perennial succulent produces thick silvery-gray curved leaves that form a tight clustered rosette of foliage. This plant is particularly well adapted to growing in containers as a houseplant where plants receive natural sunlight in the morning. Provide a well drained soil that has a generous amount of sand content. Rot is a problem in heavy wet soils. Under ideal conditions plants can grow quite large but these larger sizes are not normally seen growing in containers. This is a good dry landscape plant in areas where freezes do not occur.